You guys know how much I love our blue front door. 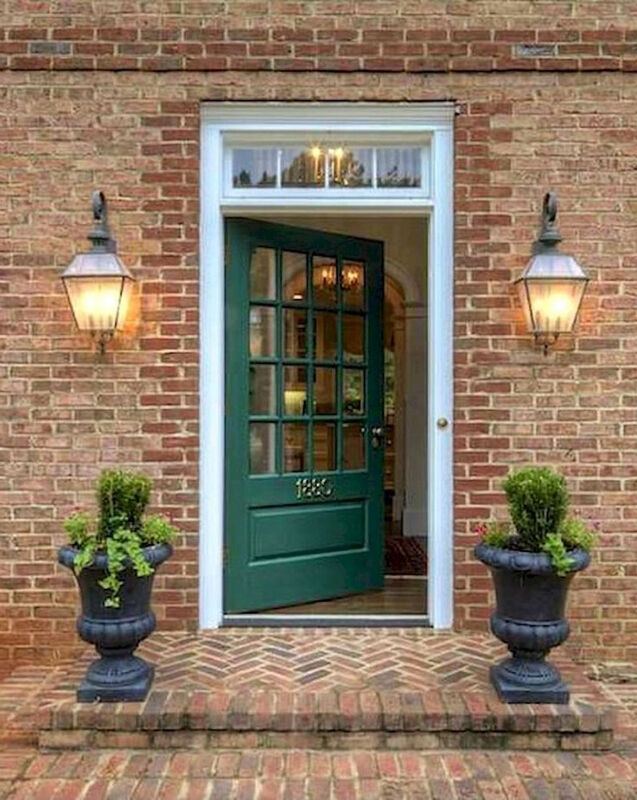 A blue front door feels calming, polished and unique all at the same time. When we moved into our house, we tried out 8 different paint colors to get to the right shade of blue, and have loved our deep hue of cobalt on our front door. But...there's a new color family in town catching my eye. From mint to kelly green to forest green, this color scheme has charm!! This is a top contender for our next door repaint. It feels traditional, yet fun and looks really amazing with greenery around the front door.